'Soft-to-touch' with simple clear images labelled to increase your child's vocabulary--truly a first book for your baby. Roger Priddy left school at 16 with just one qualification—in art. He went to Berkshire College of Art and Design and trained as an illustrator. His first job in children’s books was working with the publisher Peter Usborne, at Usborne Publishing, and then he worked with Peter Kindersley at Dorling Kindersley, where he spent 16 years. Priddy became Creative Director of DK’s Children’s Division and was Managing Director of the children’s mass market publisher Funfax when it was acquired by DK. In 2000, he created Priddy Books with John Sargent at St Martin’s Press to create innovative and imaginative titles for children, from first books for babies through early reference titles for older children. 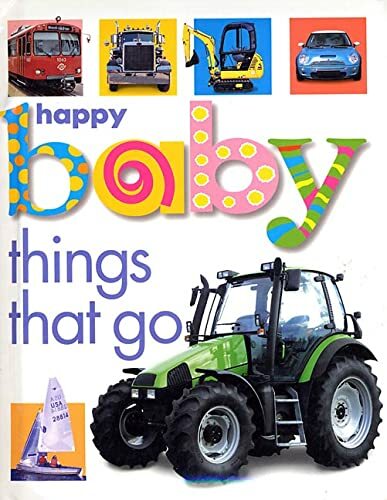 Since then, over 30 million copies of Roger's 200 plus books have sold worldwide, with five of his books—My Big Animal, My Big Truck, Happy Baby Words, Happy Baby Colors and Puppy and Friends—each selling over one million copies. He is also the author of Big Board First 100 Words; Big Board Books Colors, ABC, Numbers; and Bright Baby Noisy Monsters. His creativity has been recognized with numerous industry awards. Priddy lives in London with his wife Zena and their four children.